Let me first admit: it’s been over a month since I last posted. 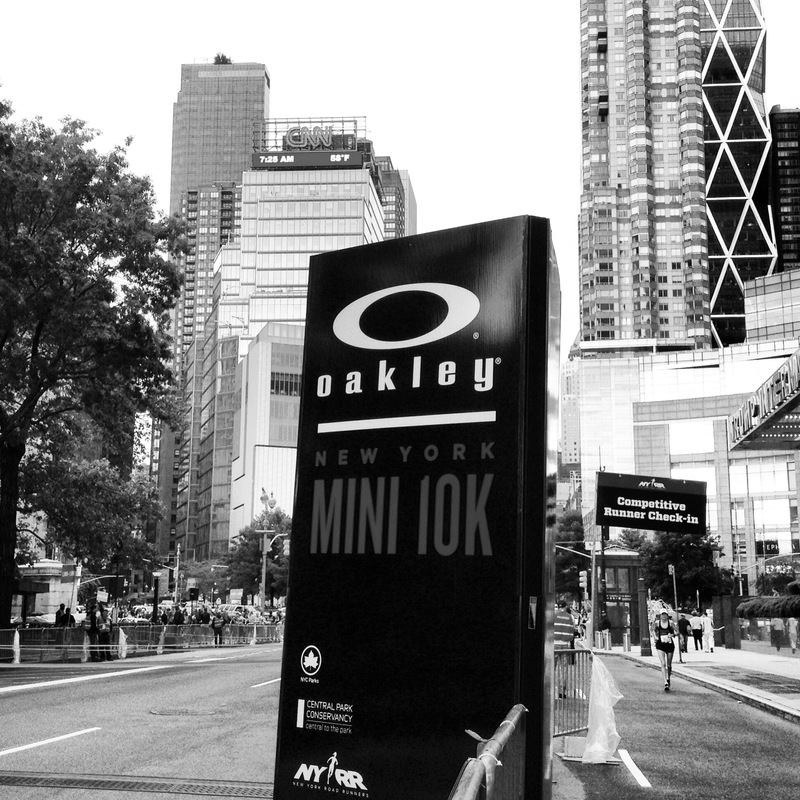 Leave it to you, Oakley New York Mini 10K, to help break the silence. This was my fourth year running the Mini. I quite like this race. 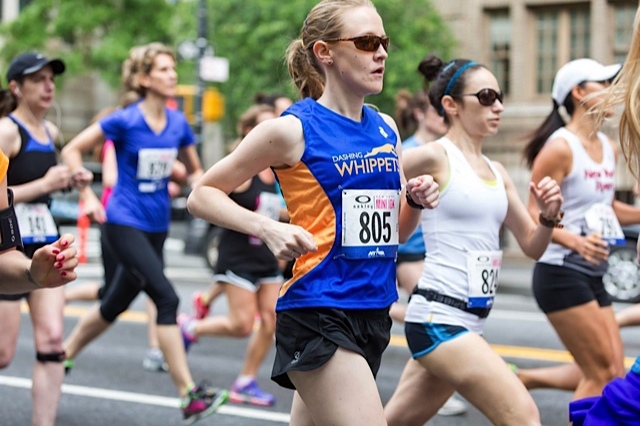 It’s a fantastic distance (long enough to pace, way shorter than a marathon), a nice jaunt up Central Park West, and yet a challenge with the park’s rolling hills. By far, what I love most about this one is its energy. Last year, the race seemed to go through growing pains. The corrals were seriously over-crowded and the start was cramped. Luckily, those issues seemed to be fixed. This was the first year I earned a spot in the BLUE corral. Little me, within sweating distance of the elites! We lined up right behind the pro corral, with enough room to stroll around our own pen, socializing. 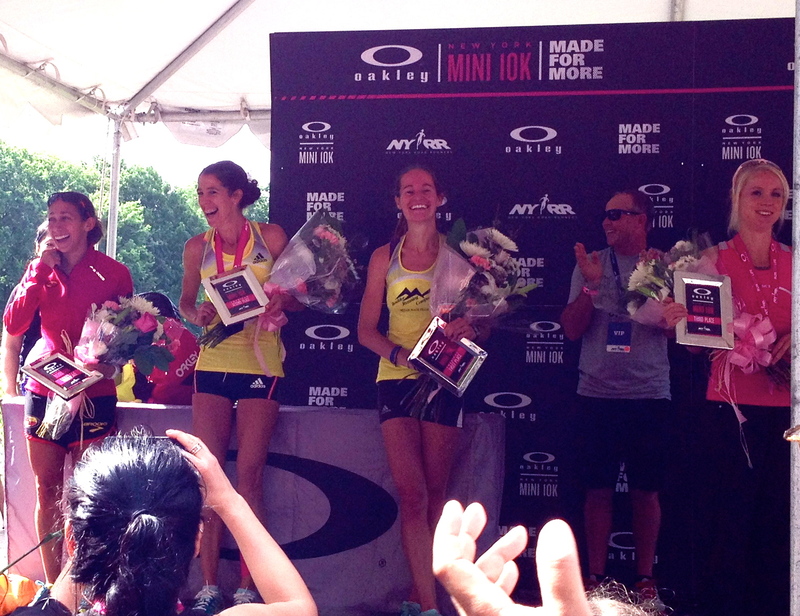 This experience made me realize how many amazing female runners I know. I immediately ran into Tanya, badass runner for Urban Athletics and fellow Gen UCAN ambassador. Met some of her teammates, and then spotted Elizabeth, a fabulously fast Dashing Whippet. We hugged, chatted, and settled into our spots. In the midst of waiting for the start, I had a questionable allergic reaction to my sunscreen. Don’t know why, how, or what. It was the same product I always use. Yet suddenly my arms and legs were covered in red, itchy welts. It was not pleasant. Quick thoughts included: “Should I go buy Benadryl?” Then, “Can I run with this?” And finally, “The gun’s going off soon, hopefully I’ll sweat it off.” Random fun fact. 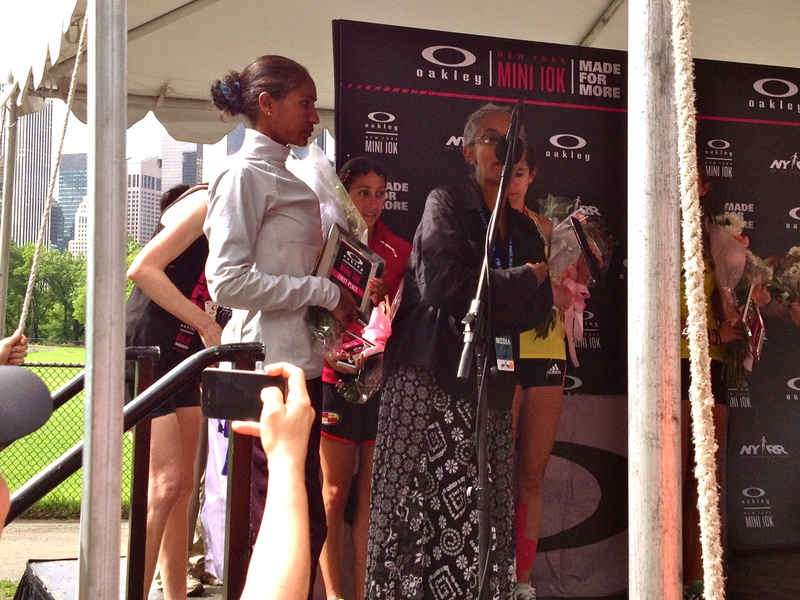 From the corral, we could see a few of the elites speak on stage, including Desi Davila. Once the race started, it was the closest to a lead vehicle I’ve ever been. Until that gap grew, and I settled into a comfortable pace. My goal was not to race. 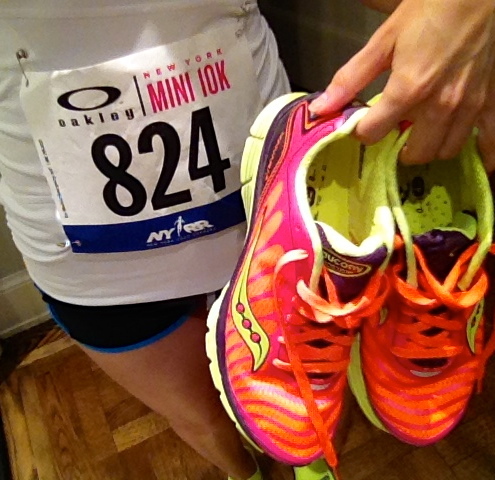 At the start of Chicago Marathon training, my plan called for a short easy run. I took off faster than planned, but took a rest break at the first water table. I stood around, watching the runners go racing through the park. Once I jumped back in, I made sure to take a break at every water table. It’s the only way I can break up the urge to all-out race. In the end, I enjoyed the course and the experience. I didn’t bother to wear my timing chip, and barely took notice of my Garmin. The way a fun run should be. 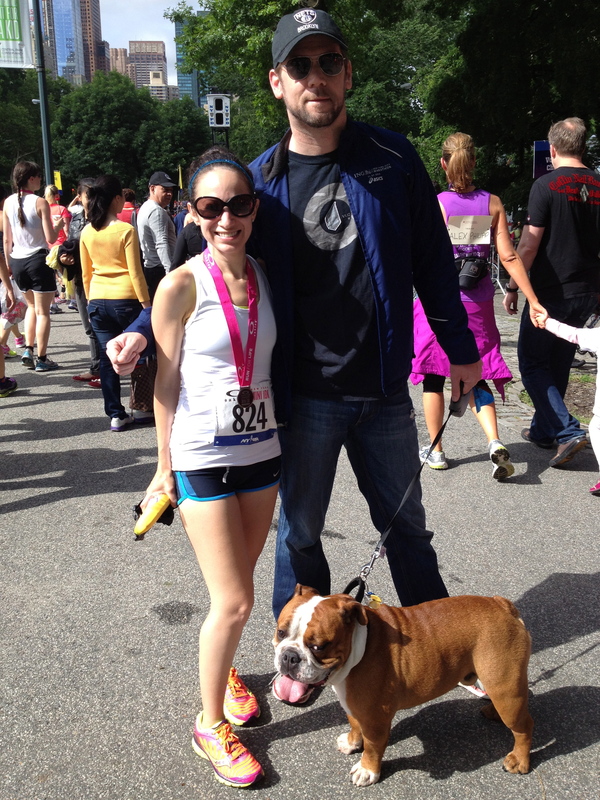 Once I crossed the finish line and gathered my medal, I found Tanya for a quick post-run chat. Then made my way over to the finish area. Thankfully by then, I was allergic-reaction free. That was a huge relief. 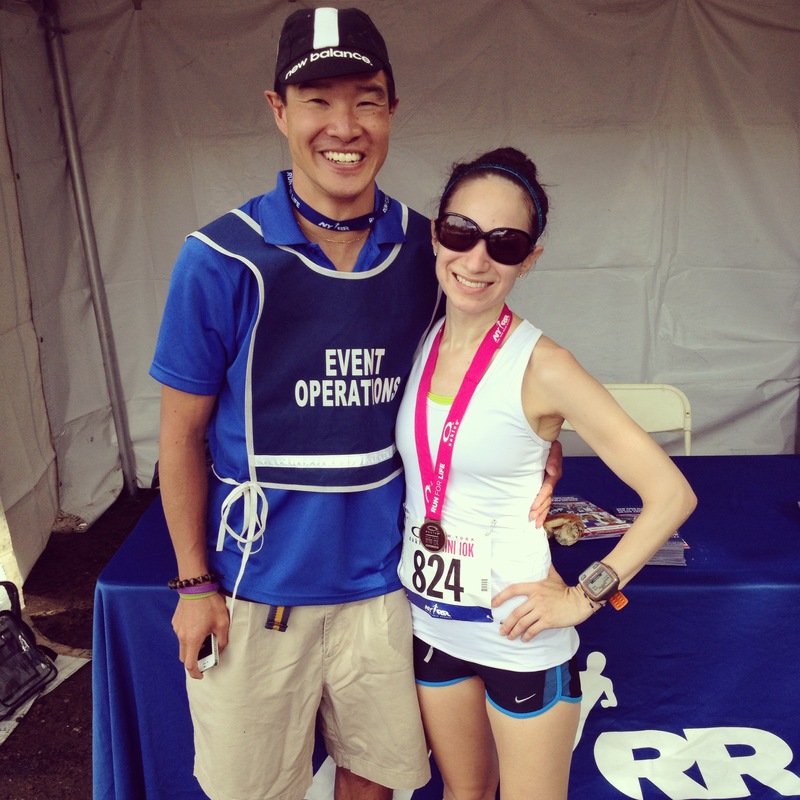 I ran into Brian, my favorite NYRR ever, and hung out for a bit. Then, I found my way to Kai and finally – FINALLY – met Brooklyn Brutus, the bulldog who rules our hearts and all of Brooklyn. 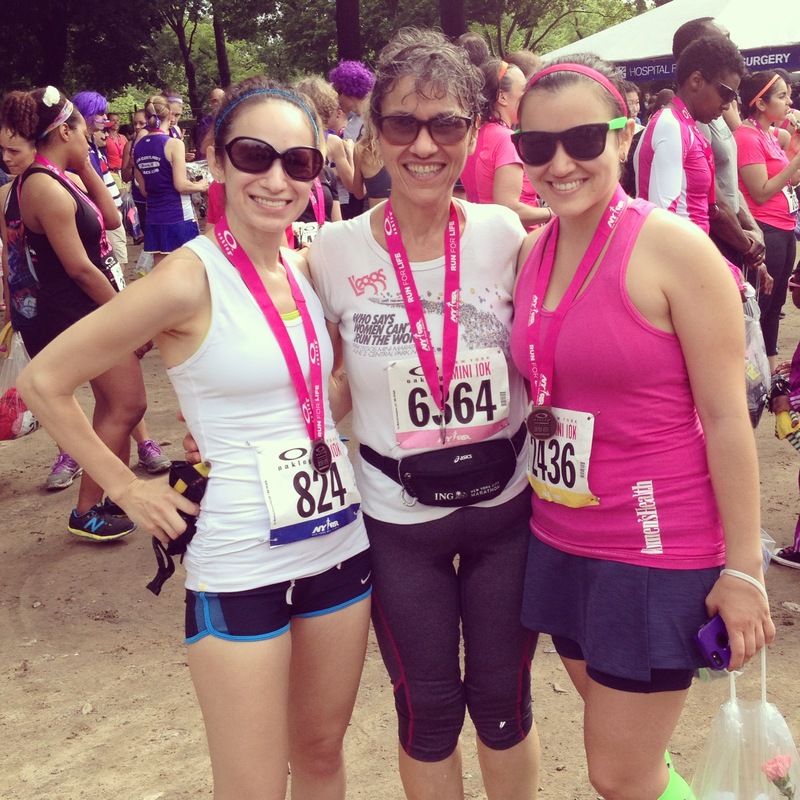 One of the most lovely encounters after the race, however, was with Fran and her daughter, Gabby. Fran was the May Inspiration of the Month at Erica Sara Designs. Erica and I both love the strength and positivity of Fran’s story. So to meet her in person was such a pleasure. 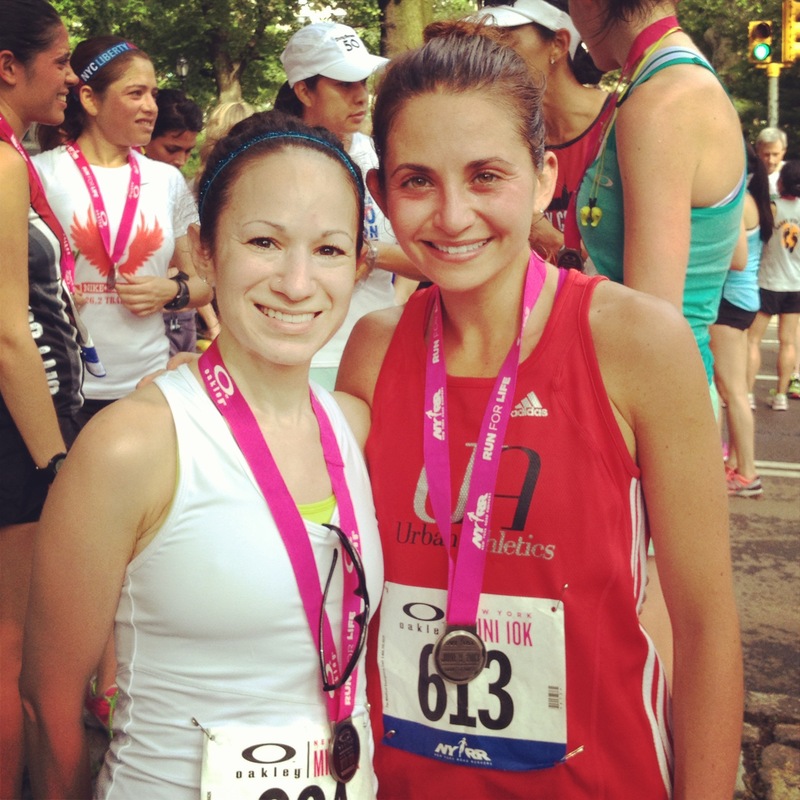 She and Gabby both ran the race, and I love that they share these running adventures together! 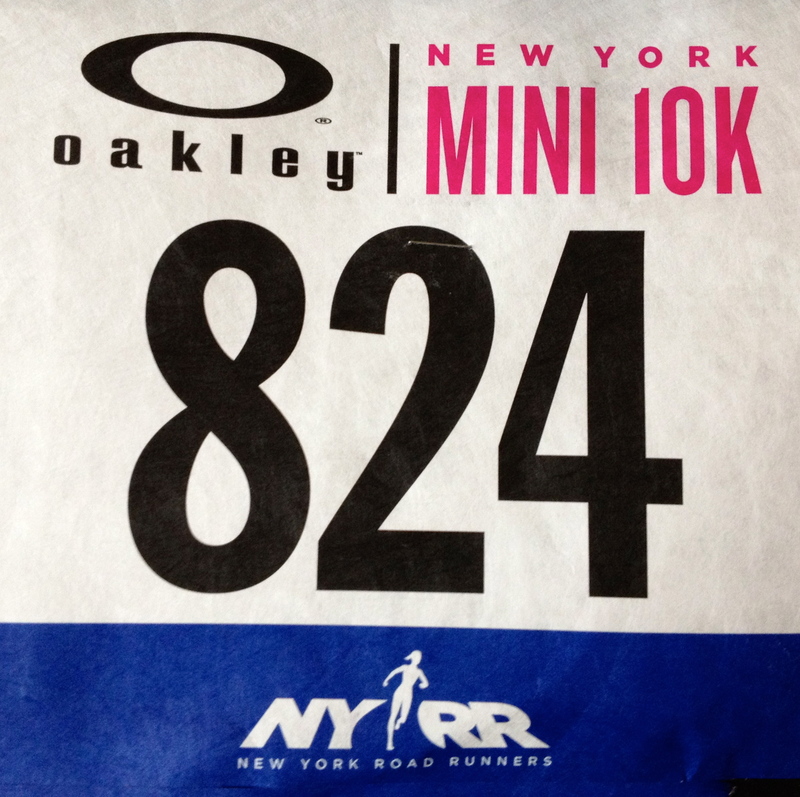 Overall, it was a beautiful (yet, slightly humid) morning to run and be among the inspiring female runners of NYC. 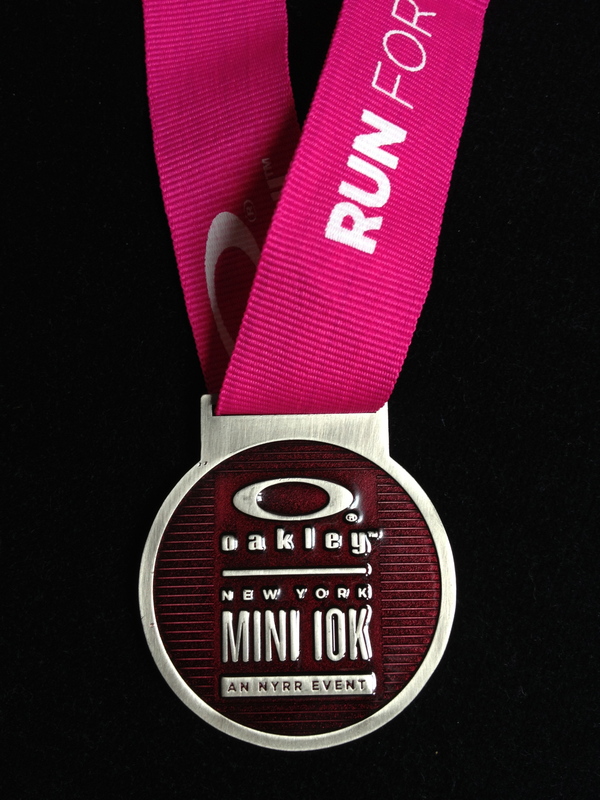 The Mini was the only summer race on my schedule, and I couldn’t think of a better way to kick off my Chicago Marathon training than with this experience. Love it, just wait until you do the 5th avenue mile then, you get SO much closer to the start, it’s scary!!! I love the Mini where I get to enjoy the park with my girls, it’s such a different vibe. Glad the lotion itch cleared off and you could run! See you soon hopefully!